It can transform a room, bringing it to life with color and warmth. But paint can lids can be the source of countless spills, headaches and hammered thumbs...until now. 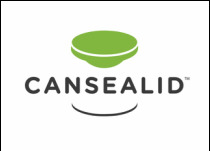 Cansealid was born from the idea that there just has to be a better way: a better way to seal and store your paint without the hassle of those dreaded metal paint can lids. You know, the ones you struggle to pry open with a screwdriver and then fight to hammer shut (along with your fingers). ​Yes, those paint can lids, the ones that bend and stick and never quite fit the tin after opening. Cansealid's sturdy and stylish, high grade silicone design provides a simple, powerful (and pain-free) seal that keeps paint fresh and readily accessible. Need to do a touch up or have a long job ahead? Pull back the silicone lid. When you're done or just want to take a break, fit it securely back over the paint can. It's really that easy. So join us, and let's simplify home decor. Cansealid. Just paint, seal and stack.